Kevin Eisensmith is Professor of Trumpet at Indiana University of Pennsylvania, where he also directs the Trumpet Ensemble and the Jazz Ensemble. He holds a Bachelor of Science in Music Education degree from Indiana University of Pennsylvania, a Master’s degree in Music Performance from Georgia State University, and a Doctorate of Musical Arts in Performance degree from Temple University. He has worked with a diverse group of artists, including Bernadette Peters, Doc Severinson, Roberta Flack, Marvin Hamlisch, Frankie Valli, the Moody Blues, Natalie Cole, and many others. Over the years he performed as principal trumpeter with many regional orchestras in the Atlanta, Pittsburgh, and Philadelphia areas. 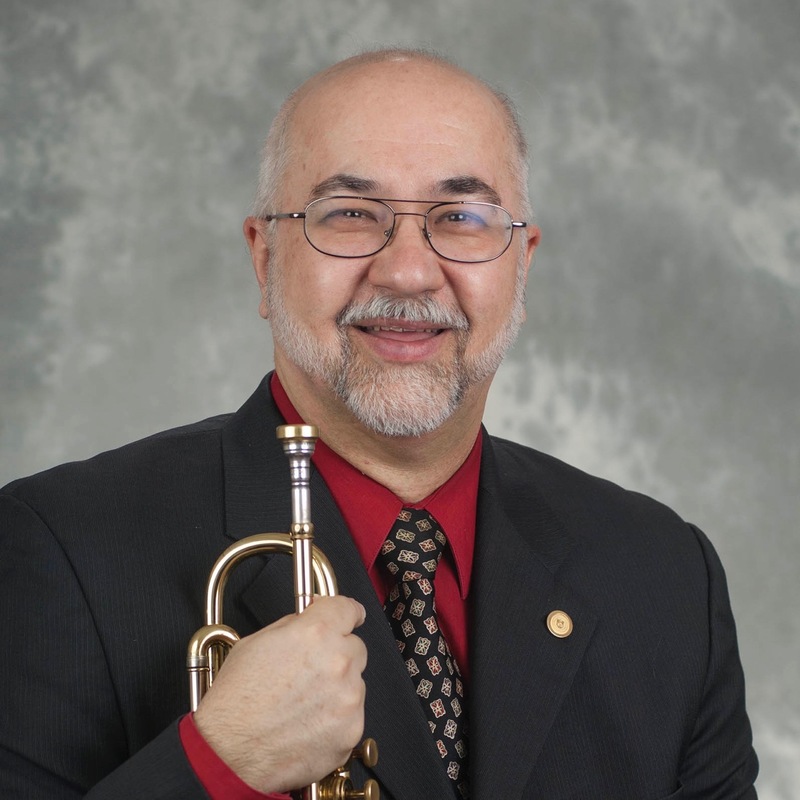 Dr. Eisensmith served as the principal trumpeter with the Johnstown (PA) Symphony Orchestra from 1998 to 2011 and has served as the principal trumpeter with the Altoona (PA) Symphony Orchestra since 2013. He was President of the International Trumpet Guild from 2009 to 2011 and has held many other positions within this organization, currently serving as Secretary. He has been an active participant in the National Trumpet Competition since 1996, and from 2007 to 2009 served as the Assistant Manager and Competitions Coordinator. He has published numerous articles in such magazines as The Instrumentalist, The International Trumpet Guild Journal and the Bluegrass Music. Dr. Eisensmith presents numerous clinics and guest appearances annually throughout the eastern and mid-western United States, and has also performed and taught in Australia, Japan, Costa Rica, China, Italy, Russia, Austria, Germany, Poland, the Czech Republic, and the United Kingdom.